Looks like you're viewing this page on a mobile device. The The Epic of Gilgamesh Theme Wheel is a beautiful super helpful visualization of where the themes occur throughout the text. They're only accessible on tablets, laptops, or desktop computers, so check them out on a compatible device. 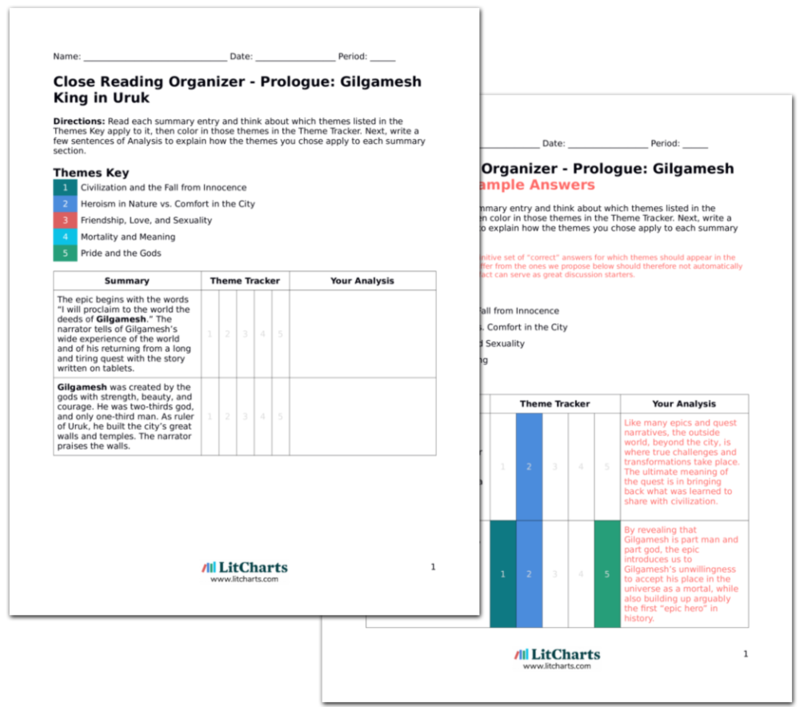 The Theme Wheel visualizes all of The Epic of Gilgamesh's themes and plot points on one page. Glasserman, Ethan. "The Epic of Gilgamesh Theme Wheel." LitCharts. LitCharts LLC, 9 May 2016. Web. 22 Apr 2019. Glasserman, Ethan. "The Epic of Gilgamesh Theme Wheel." LitCharts LLC, May 9, 2016. 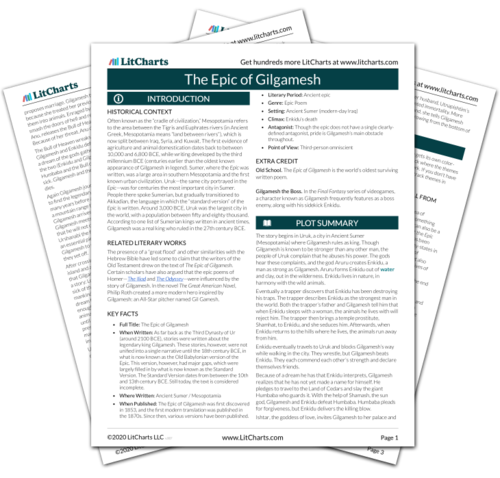 Retrieved April 22, 2019. https://www.litcharts.com/lit/the-epic-of-gilgamesh/chart-board-visualization.